In a shocking turn of events, four young suspects’ rampage over the Phoenix city will be investigated by the Police. The juveniles shot blank and tried to rob people at gunpoint. As per the authorities, the incidents happened at different places. The suspects moved to four different places and created havoc. The whole incident took place in a short span of 30 minutes only. Some of them are juveniles, it means below 18 years of age. The oldest of them was of 20 years old. The police officials said that they were looking at prospects of what charges the suspects could face. When Police tried to catch them, one of the suspects waved a gun at the Police at the West Valley. Even the police officers astonished at how fast they moved to different locations doing violent acts. They all started on Friday afternoon when one of the suspects assaulted a man on a bus on a gunpoint. Afterward, the suspect moved in a stolen black SUV. Police officials were informed about the incident in the bus and the second call to police was made just minutes after the first incident when someone reported firing in her neighborhood. As per the witness, two of the suspects robbed two children at gunpoint taking their phones away. The witness tried to help by calling the police to the spot. 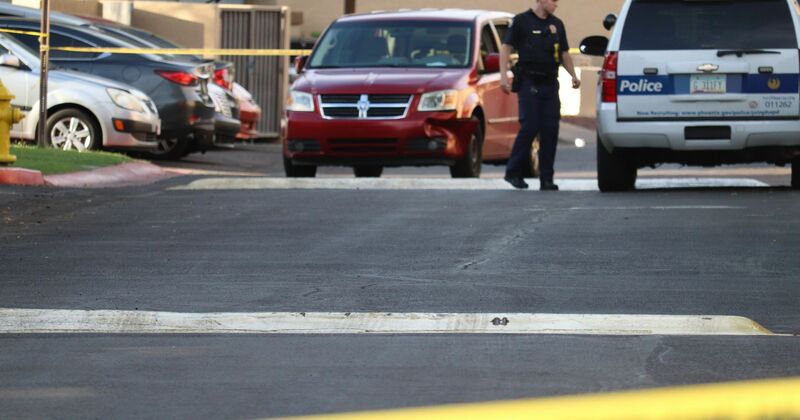 As per the police statement, the black SUV was stolen out of Tolleson earlier that day. The Police officers spotted the SUV on 83rd Avenue, and Van Buren and the whole pursuit ended when the suspect crashed the vehicle. After the crash, all the suspects tried to flee from the spot. Anyway, everyone was caught by the police. One suspect was found in a Circle K store with a rifle, two were hiding near a dumpster, and the last suspect was found at a baseball park. Police said that they would face charges of robbery, aggravated assault and possessing a stolen vehicle. And the names and other details of the suspects have not been released.